Moscow, Russia – Russian foreign minister Sergey Lavrov just accused the U.S. State Department of asking Russia not to target al-Qaeda’s army in Syria, Jabat al-Nusra, also know as the Nusra Front. “They [the US] are telling us not to hit it [al-Nusra Front], because there are also ‘normal’ opposition groups [on those territories],” Russian foreign minister Sergey Lavrov said in an interview published on the Russian Ministry of Defense website. The U.S. quickly denied those allegations and insisted they had simply asked Moscow to be more careful in selecting targets as to avoid hitting civilians and U.S.-backed “moderate” rebel groups. Speaking to reporters in Washington, U.S. State Department spokesman Mark Toner said that Kerry had emphasized the need for Russia to carefully distinguish between the Islamist extremists and “moderate” opposition units, according to the Associated Press. Lavrov went on to say that Russia has long insisted that the moderate, U.S.-backed opposition groups should leave the areas occupied by Nusra, as to allow Russia to continue their aerial assault upon terrorist positions without potentially striking the U.S.-backed forces. Russia first set a deadline for the “moderate” opposition to leave territories occupied by al-Nusra Front extremists, but then agreed to give them more time to withdraw. In spite of a joint Russia/U.S.-brokered ceasefire, which began on Feb. 27, severe fighting has engulfed many regions of Syria, particularly around the city of Aleppo. The surrounding conflict has left many civilians trapped in the cross-fire between government and opposition forces. “It is important to provide humanitarian access to the settlements blocked by one side or another, to secure the ceasefire and to prevent its violation, as well as to launch the political process… but, as important as these goals are, terrorism is our common threat, and there should be no doubt about that,” he said, adding that, in the meantime, al-Nusra Front has been attempting to merge with other “moderate” rebel groups. In televised remarks, Lavrov said that Russia and the U.S. have engaged in close dialogue on how to secure a cease-fire in Syria, but added that fighting the Islamic State group and al-Nusra should be a top priority. If you look beyond the rhetoric employed by the U.S. State Department, the reality of the situation becomes extremely clear upon closer inspection. The U.S. is essentially providing a safe haven for terrorist groups by not pushing the “moderate” rebels out of the areas inhabited by the extremist groups. 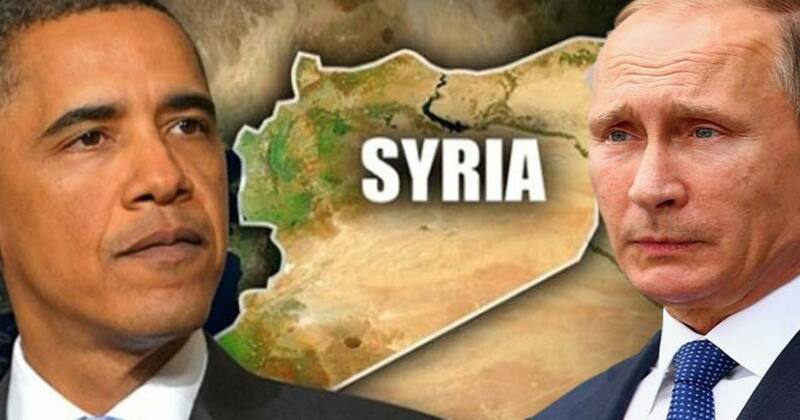 Breaking the situation down, geopolitical analyst Patrick Henningsen said that he believes the lack of a clear signal to the “moderate” rebel groups, coming from their U.S.-backers, is the result of a deliberate strategic choice made by the Americans. “The classification of moderate rebels is a type of human shield,” he said, likening it to the terrorists’ use of civilians as cover. “All this talk of co-mingling, this is all double-speak,” Henningsen said, adding that Washington is “trying to play both sides of this to continue this conflict” and has no actual intention of attempting to restore peace to Syria. So why would Washington want this conflict to continue? The answer is because U.S. involvement in Syria has nothing to do with humanitarianism or defeating terrorism, as it’s simply another American regime change operation being undertaken under different auspices, meant to confuse an easily bewildered American public. Until the U.S. chaos operation succeeds in allowing for the overthrow of Bashar al-Assad, and the installation of a western friendly puppet government in Syria, expect the regime change operation to continue to rage on under the false pretense of fighting terrorism or humanitarianism… or whatever other bogus story they believe the American public will unquestioningly consume.